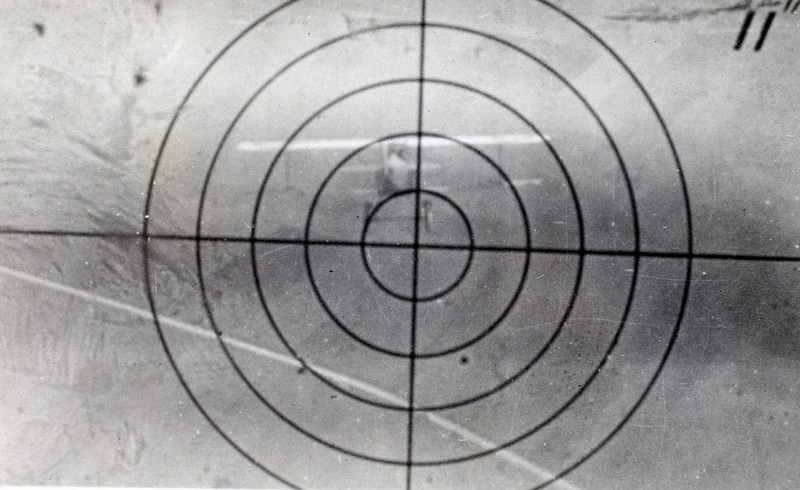 For World War One pilots and observers, a crucial part of training was learning how to accurately operate a plane-mounted machine gun, while flying, with moving targets. Of course actually shooting at the other student pilots wouldn't work, so they came up with a solution: camera guns. 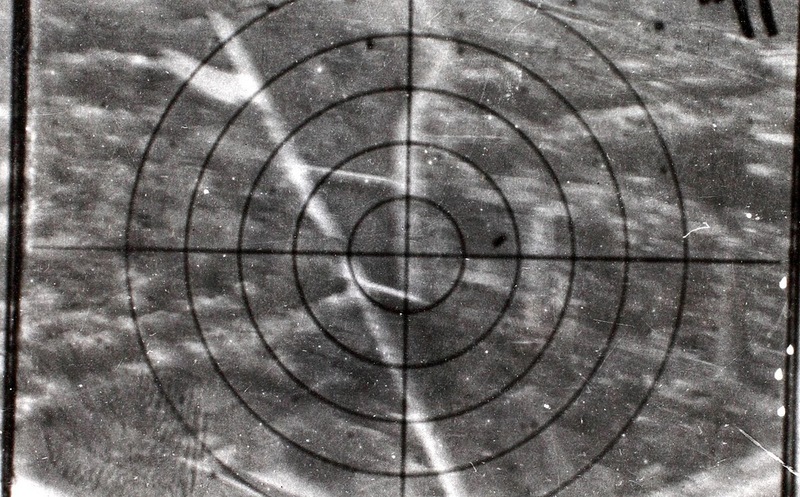 The camera gun resembled the regular machine guns used on airplanes, but firing the shutter exposed a frame of film (for more details and pictures, see here). 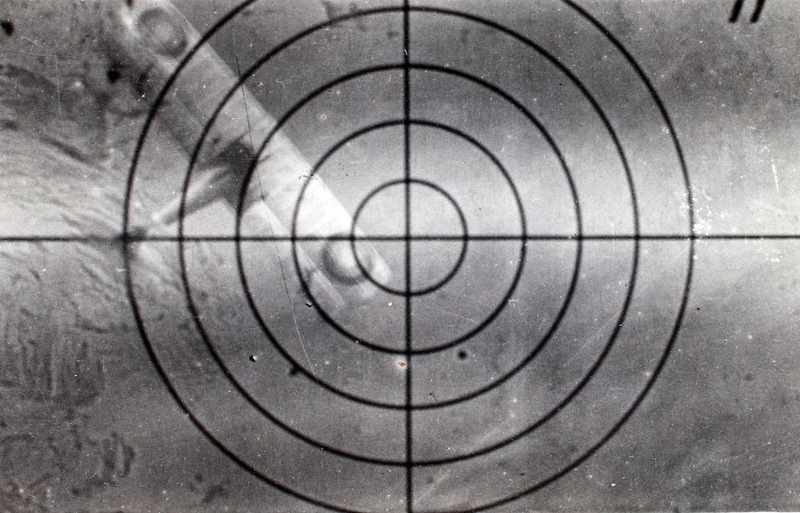 The film would then be developed and the accuracy of the aim could be assessed by the position of the target as captured by the shutter. 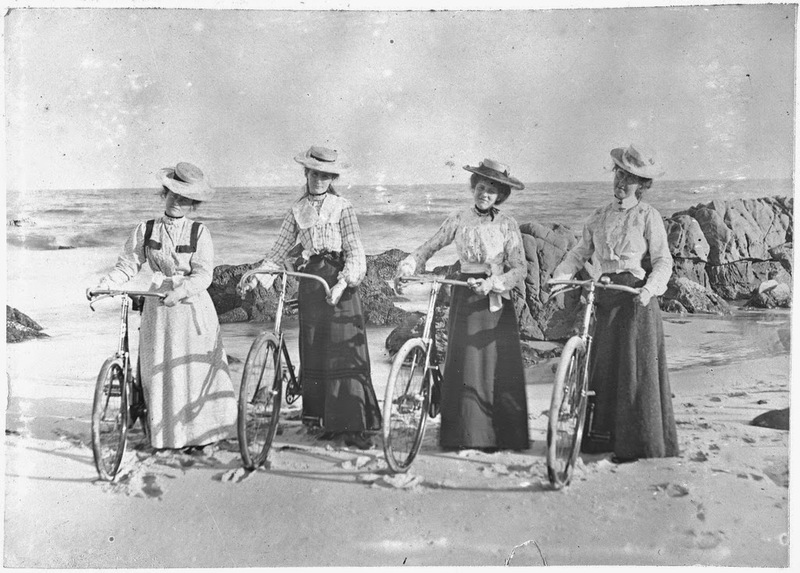 The photographs themselves were, of course, not the aim of the endeavour. Exposure, aperture settings, and focus were fixed, and the shots were disposable. I'd actually never seen an example until I stumbled across these images in the collection of the San Diego Air and Space Museum. 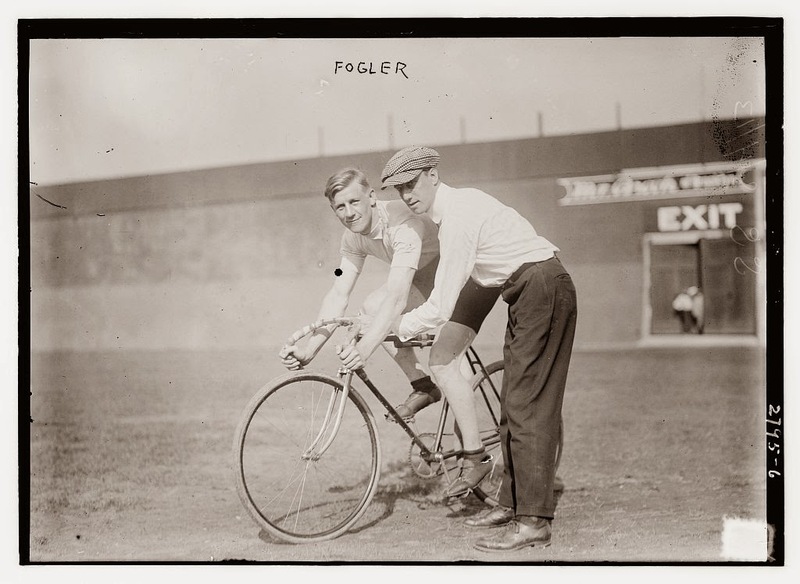 They come from the personal photographs (possibly in album form; it's unspecified) of an American air force pilot named Frederick H. Morlan who served and just after during WWI. Apparently he liked them enough to keep them! 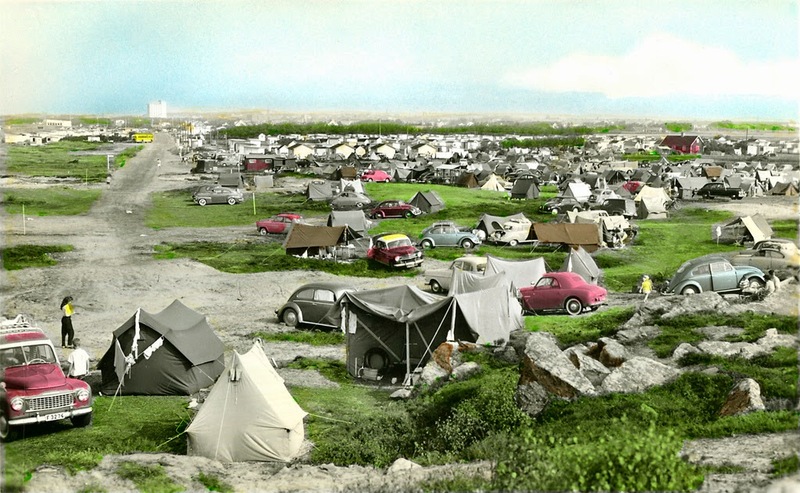 Hand-tinted postcards are generally associated with the early decades of the 20th century. 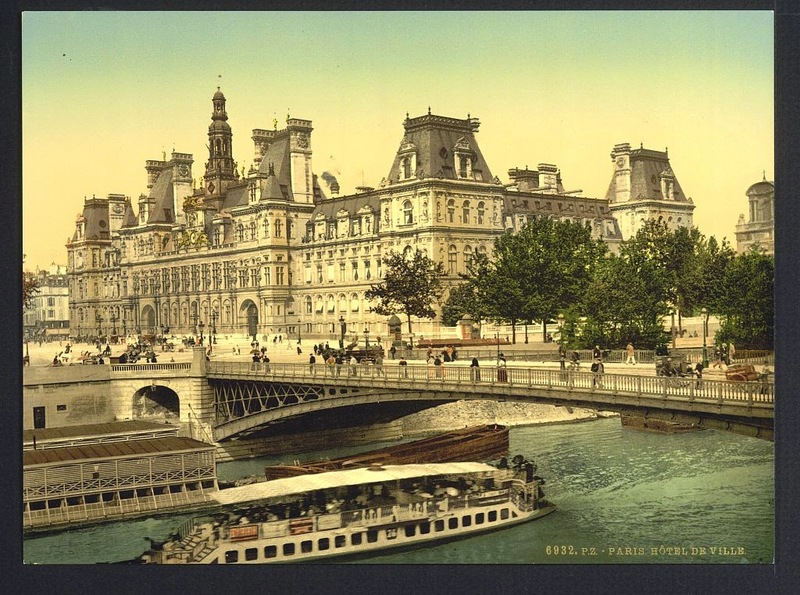 By the middle of the century, colour photomechanical printing had mostly taken over. 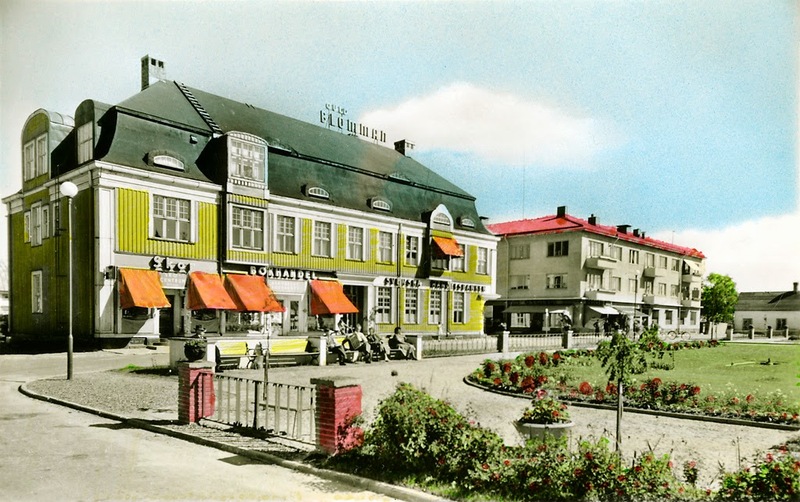 I was thus delighted to find these hand-tinted postcards from Sweden in the 1950s, published by the Swedish postcard company Almquist and Cöster. 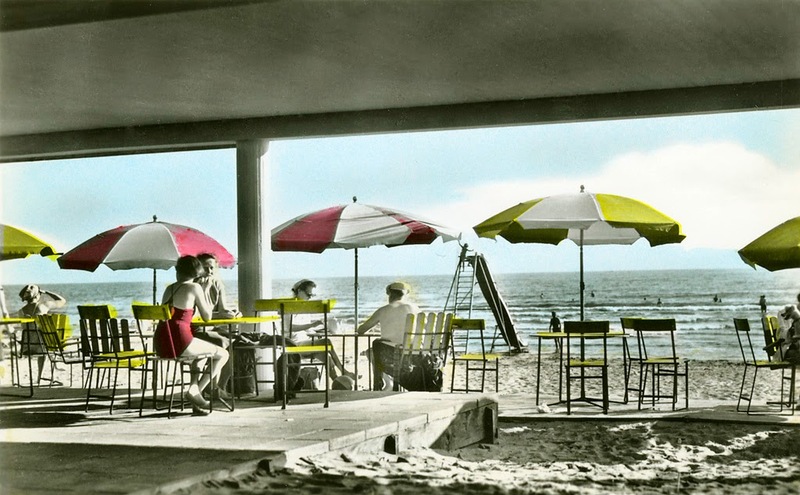 The modern clothes and cars contrast with the old-school selective stencil tinting in such a striking way. 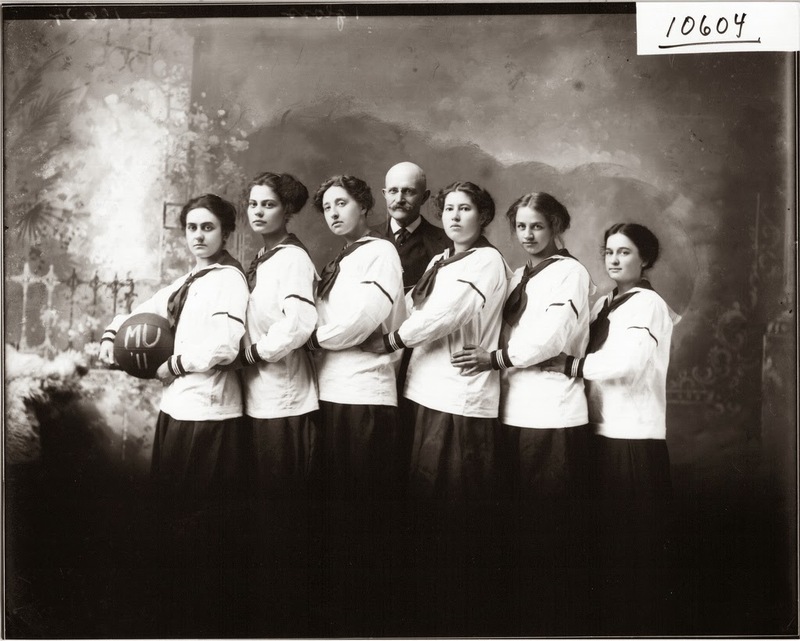 I love old group portraits. I love to look at the various expressions, the variety of character captured in that fraction of a second. 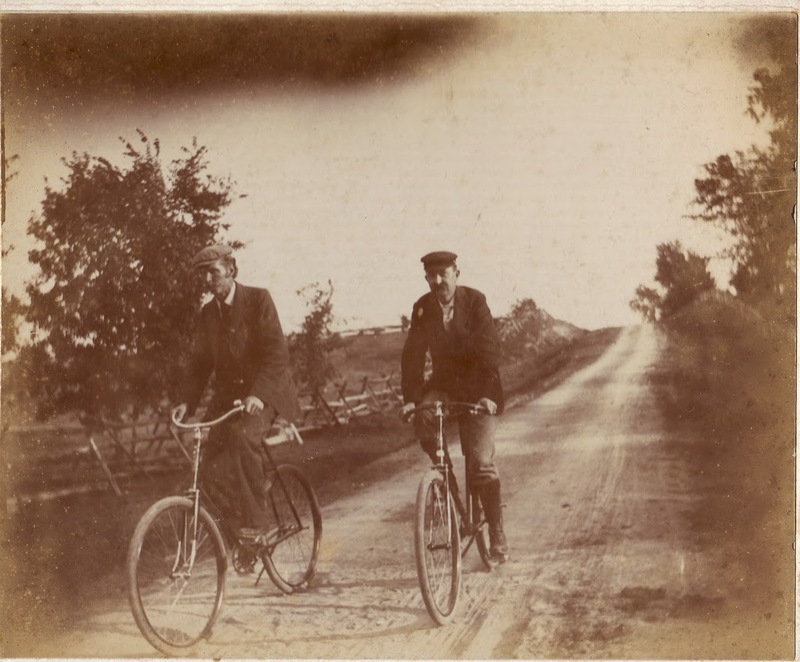 Photographs of people with bicycles, from the 1890s to 1940s. 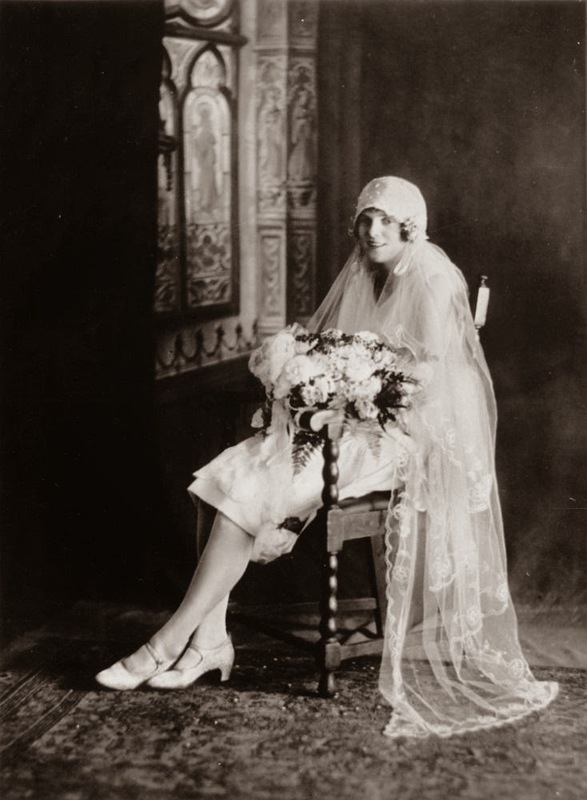 I never tire of looking at the painted backdrops in studio portraits. It fascinates me to see the ways people wanted to be depicted. I've posted on studio backdrops before; here is another set demonstrating the variety of painted backdrops seen throughout the nineteenth and early twentieth centuries. 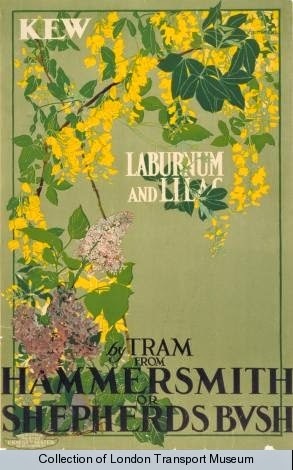 High time for a revisit of the amazing poster collections of the London Transport Museum! Posters celebrating flowers and spring are some of the collection's loveliest. 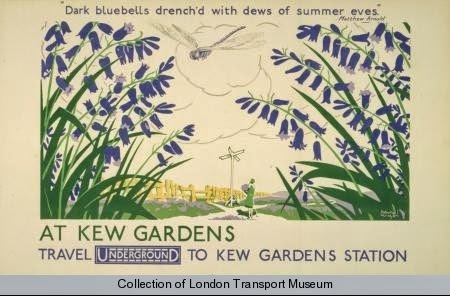 Some of my absolute favourites of these are those promoting Kew Gardens, the Royal Botanic Gardens of London (and a truly lovely place; the posters aren't exaggerating!). 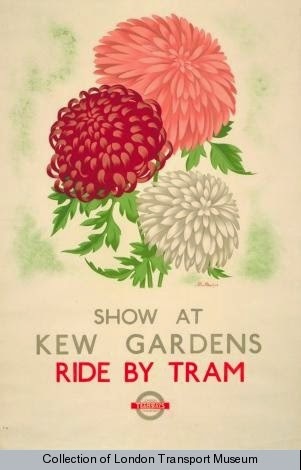 One of my earliest posts shared a number of great Kew posters; here is another set. The ambrotype is something of an overlooked process-- not as stunning as the daguerreotype, not as widespread as the tintype. 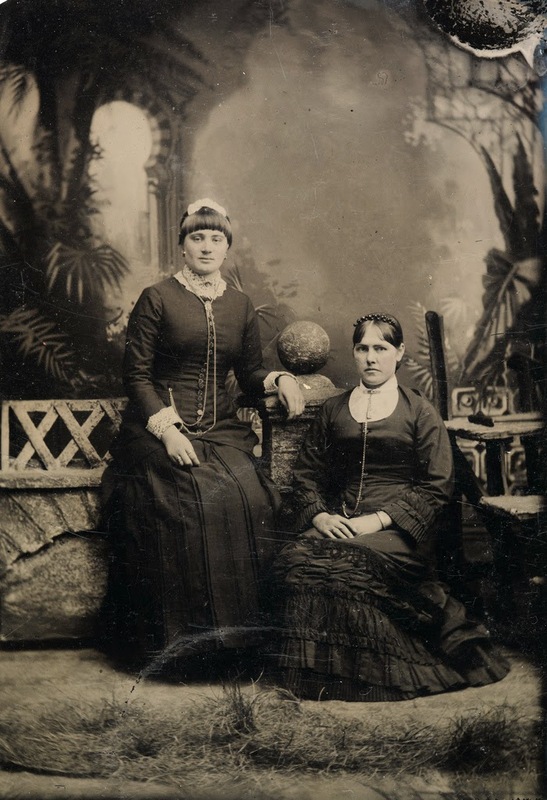 Though there are several variant ways of making an ambrotype, essentially it is made by applying a collodion emulsion to glass, which is then exposed in the camera. The resultant image appears negative until it is backed by something dark-- usually varnish or dark fabric, although certain kinds of tinted glass serve the same purpose without backing. 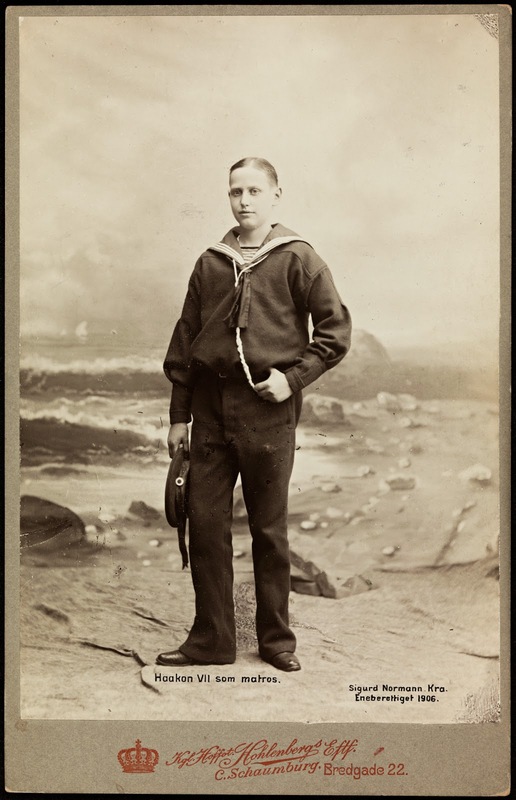 The ambrotype would then be cased. 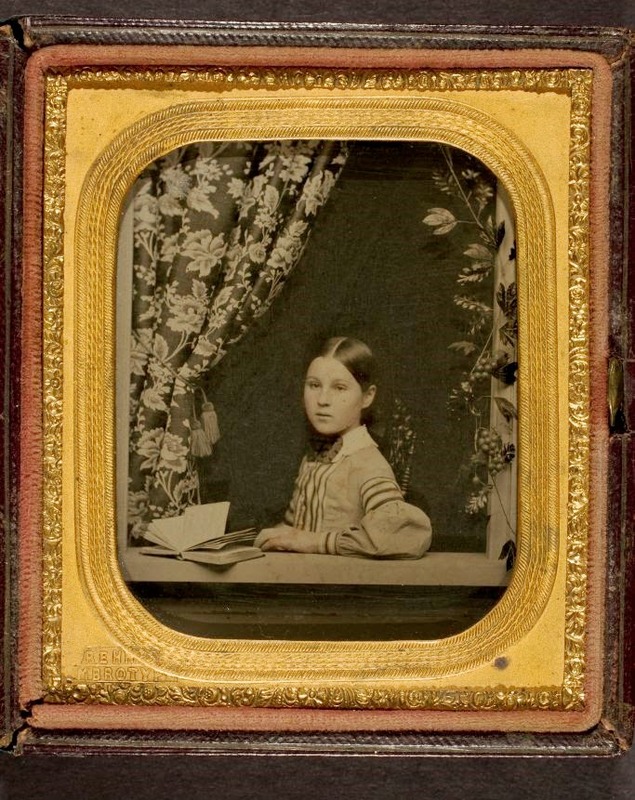 This process was much cheaper than the daguerreotype (which is made on a silver plate) and so become available to a wider segment of society, although it was soon eclipsed by the much cheaper tintype, as well as the increasing popularity of paper prints. 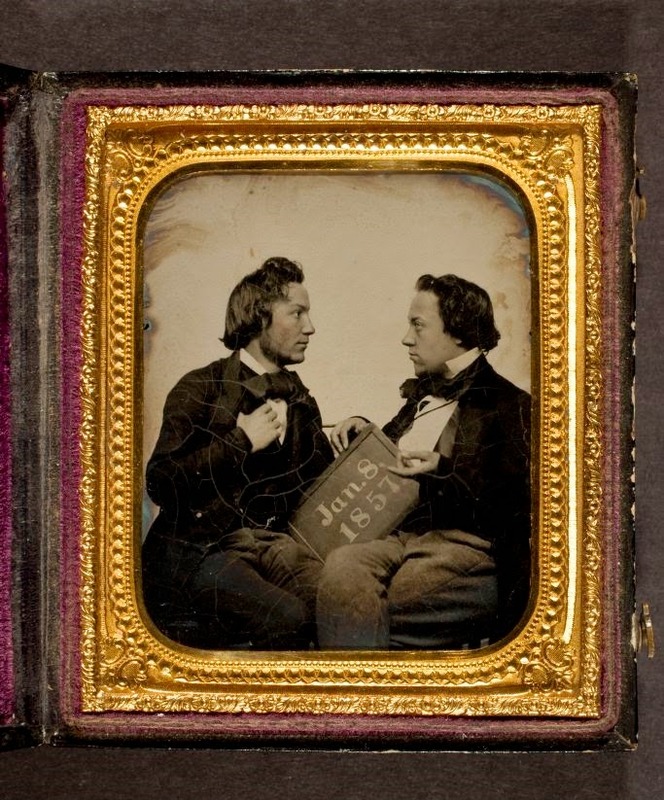 Though the ambrotype has rather gone down in history as a poor imitation of the daguerreotype, at its introduction it was in fact praised for not having the annoying mirror reflections of the daguerreotype! Ambrotypes are especially interesting to look at in person-- sometimes you can see the texture of the backing fabric in places, sometimes you can see cracks in the varnish, sometimes interesting effects were added (I've seen an ambrotype where the image was backed in black, but the background was backed in gold paint!). 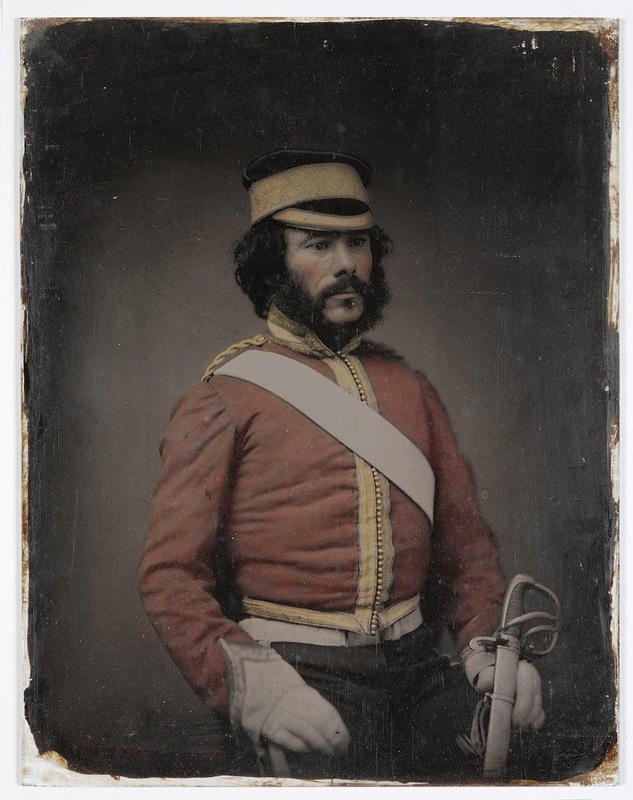 Digitized, it's often hard to even see the difference between an ambrotype and a daguerreotype. 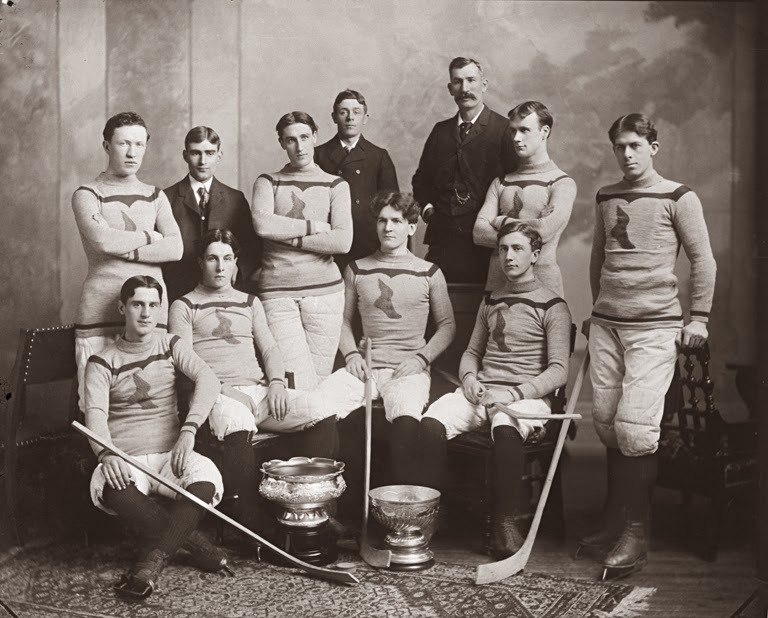 My earlier posts, preceding my entry into the field of historical photographs, don't really make a distinction. 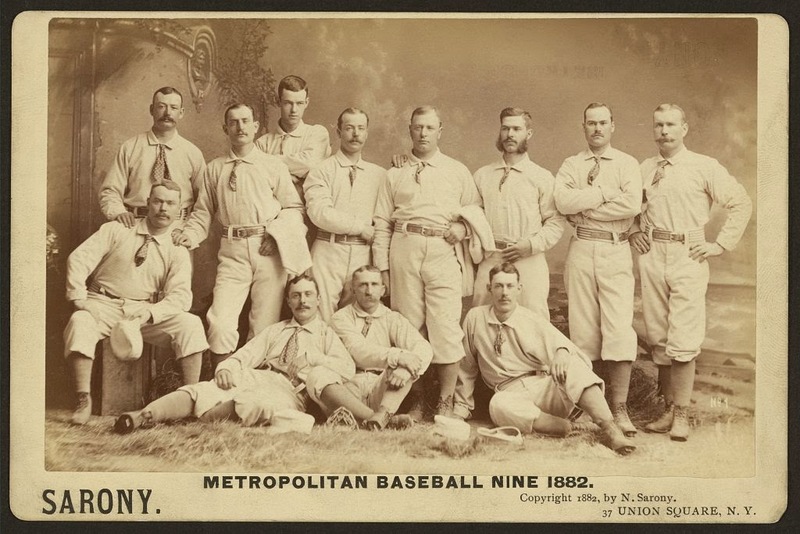 Still though, the ambrotype belongs to a certain period (about 1855 to 1865) and to certain people who lived during that period--let's celebrate their day! 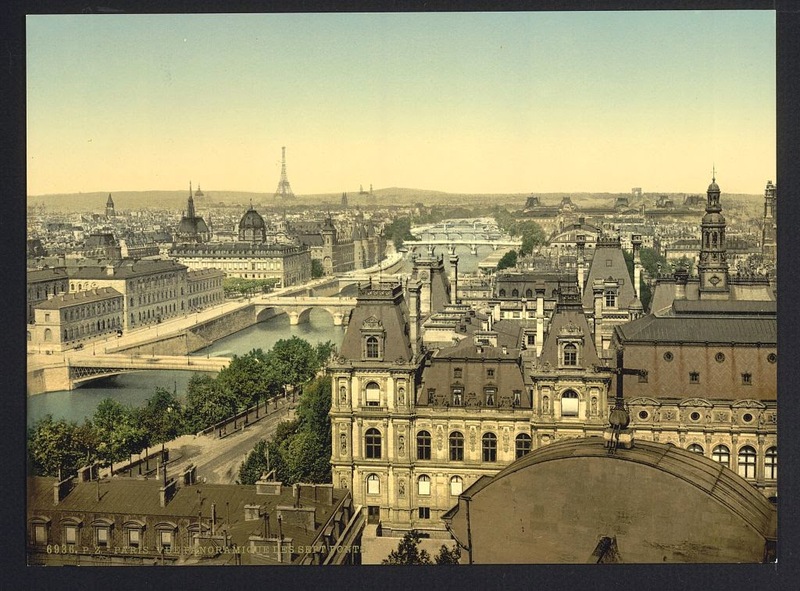 I am extraordinarily lucky-- not only am I off to Paris today, I am off to Paris on a trip with a curator and photohistorian to go behind the scenes at a heap of museums and other institutions to view photographic treasures. I'm pretty sure I'm dreaming. 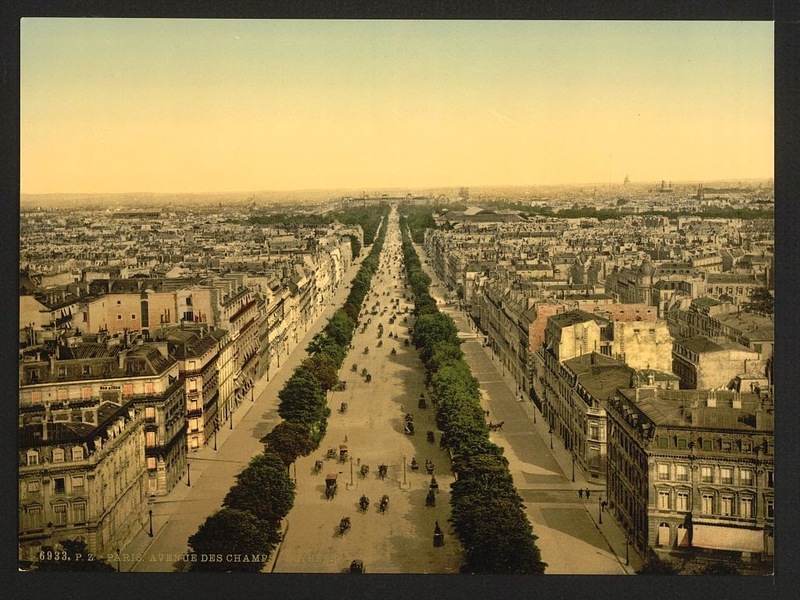 In case I'm not, to celebrate here is a selection of photochrom views of Paris from the late 19th century! 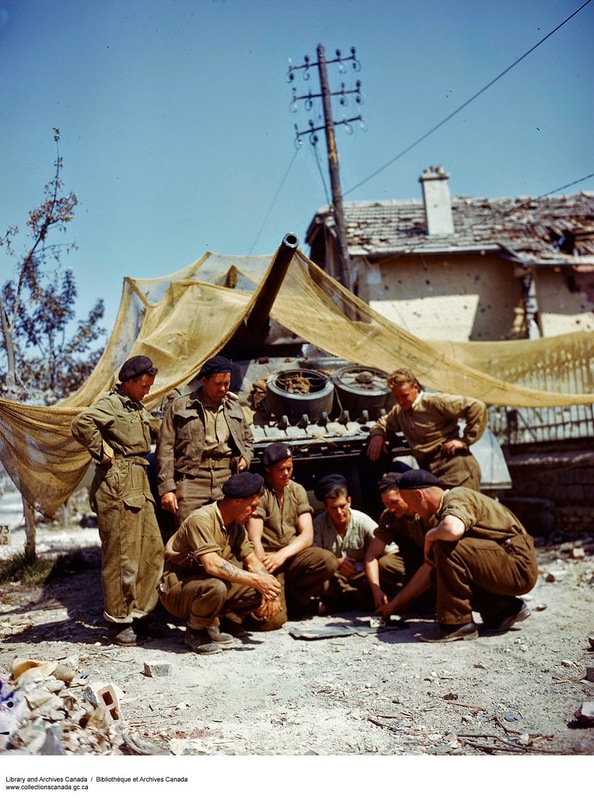 A selection of colour photographs made during and just after World War Two by Canadian Army photographers. 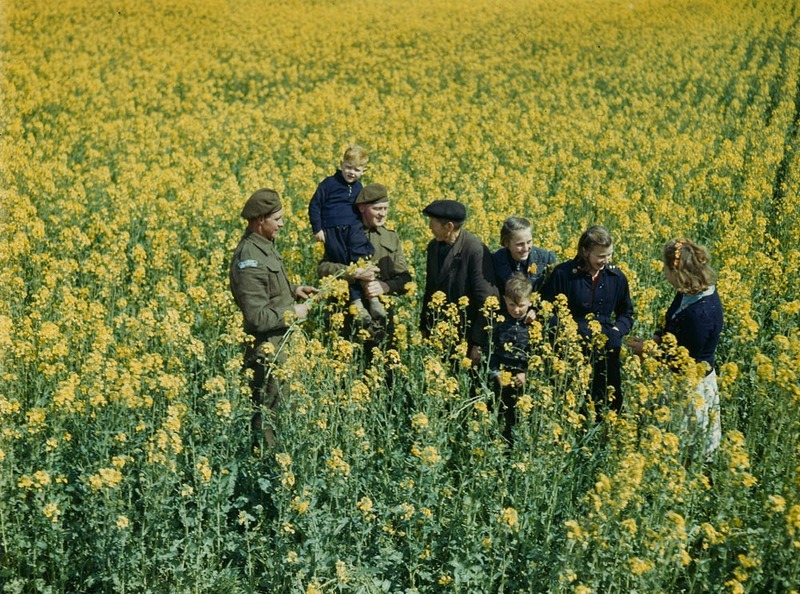 The majority were taken on Kodachrome film--significant, as Kodachrome is by far the most stable colour film, resulting in colours that are just as vibrant today as in 1943 (none of these have been enhanced in the digitization process-- I have seen several from this collection in person!). The photographs range from staged to very staged, but the view they offer of the kinds of pictures the Canadian government wanted is fascinating in itself. 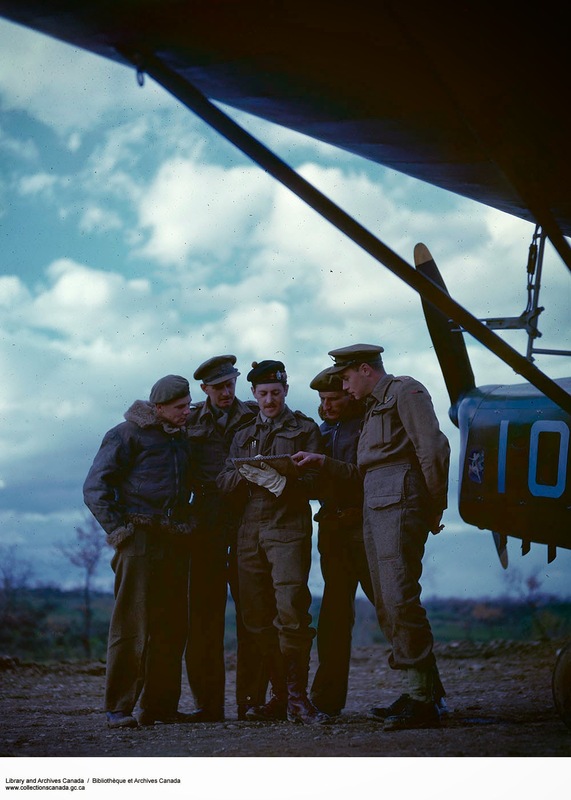 Colour film was still quite rare, as well, and it is clear that most of the shots were chosen to maximize its impact.